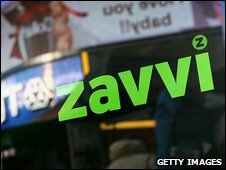 The administrators of Zavvi, the music, games and DVD chain have announced the immediate closure of another 15 stores, with the loss of 295 jobs. They have now closed 55 UK stores, with 826 job losses, since the company went into administration on Christmas Eve. The remaining 48 stores in the UK will remain open. The administrators are hoping to sell the business and have no plans to close the whole store network. "With reducing stock levels we have had to manage our cost base accordingly and close a further 15 stores," said Tom Jack at administrator Ernst & Young. "At this time, we are continuing to look to further progress interest from a number of interested parties and consequently do not have a formal closure plan for the entire network," he added. Before the company fell into administration, it operated a network of 114 stores in the UK. Nine have since been sold to HMV, two were due for closure before the administrators were called in, and 55 have been closed by Ernst & Young. Zavvi was formed after a management buy-out of the Virgin Megastore division of the Virgin Group in September 2007.